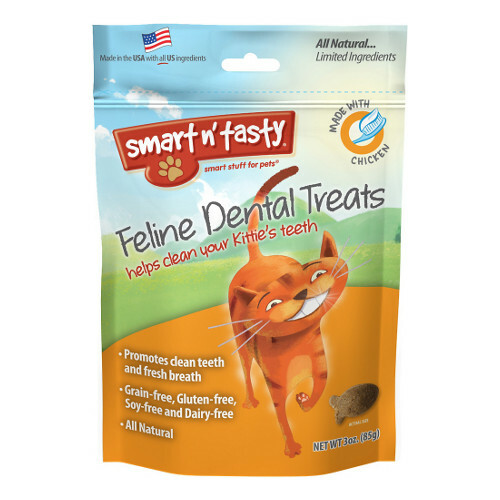 Finally, a healthy dental treat for cats with a taste they love! These all natural and nutritious crunchy treats are irresistible. With their whimsical fish shape that are big enough to encourage chewing versus just swallowing for maximum dental health and with their innovative ingredients used to fight plaque and tartar, these delicious treats are rewarding for both cats and their parents! Less than 2 calories per treat!